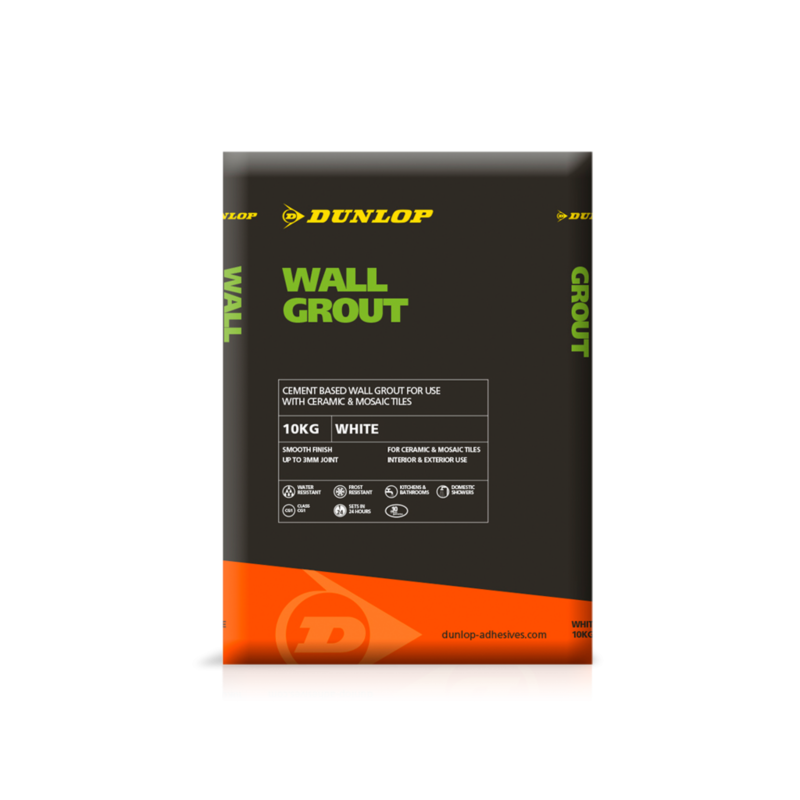 DUNLOP WALL GROUT is a mix-with-water powder grout suitable for use in both interior and exterior areas including showers. The wall grout is also suitable for use in swimming pools, when mixed with DUNLOP FLEXIBLE ADDITIVE. Available in white and ivory, it can be used in ceramic wall tile and mosaic joints up to 3mm wide.